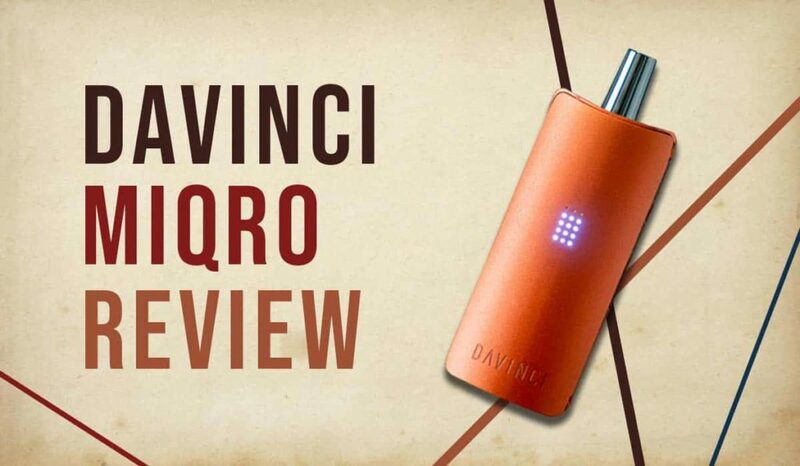 The DaVicini IQ is one of the most popular dry herb portable vaporizers ever released, for good reason. The USA-based DaVinci brand put out their first vape in 2012, known as the Davinci OG. Since then, they have released the DaVinci Ascent and the DaVinci IQ, and recently released the MIQRO. The IQ’s younger sibling the MIQRO has most of the same features and quality build that the IQ does, but is also 33 percent smaller. The MIQRO also has a feature or two that the IQ doesn’t, and there are pros and cons of purchasing both. Is the MIQRO worth the investment? Read on and decide for yourself. When holding the MIQRO, our first impressions were that it feels very small, but has an impressively sturdy build and a tough exterior shell made of anodized aluminum. At only 8 cm X 3.5 cm X 2.5 cm, the MIQRO is way smaller than the Pax 3. The MIQRO is actually similar in size to a key fob, and it weighs only 3.4 ounces. Clearly, this unit is one of the most discreet on the planet, easily palm-able for any user. The range of temperatures and smart paths on the MIQRO is great for first time users who want to try out vaping and decide on the best setting for them. The smart path technology is useful and functional when it comes to gradual temperature increases as you enjoy your vape session. The MIQRO also features precision mode, boost mode, and standby mode. Using the MIQRO is a no-brainer. There’s a convenient loading dock, which is a rim around the top that helps you load up your dry herbs while minimizing any kind of mess and waste. Open the heating chamber and load up your dry herbs. Hit the power button rapidly five times to start it up. The power button also lets you toggle between smart path, precision heat and boost mode. The side buttons let you scroll up and down and decide on your ideal vape temp. Give MIQRO 20 to 30 seconds to heat up, feel the haptic feedback, and get ready to take a smooth, delicious rip! Just as a word of caution, especially for newbies: when not being touched, the MIQRO tends to get very hot, so be careful. When held, the unit transfers the heat, but when it’s powered on and not being held it does get quite hot. Since the MIQRO is a small device, the chamber size is a bit smaller than that of some other models. Still though, .25 grams for such a compact vape is not bad at all. You can adjust the size of the chamber using the pearl. The MIQRO uses a conduction oven and while its vapor production isn’t the greatest at low temps, but it’s not terrible, either. Clouds do get noticeably larger on the higher temp settings of the MIQRO, but rips at higher settings will tend to drain the battery quickly. 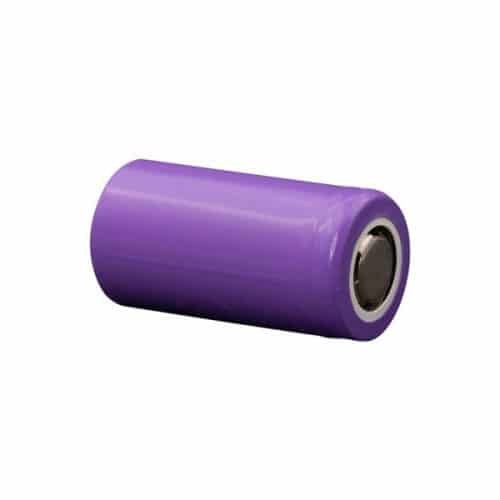 While the Explorer’s version does throw in some handy accessories like a case and an extra battery, users must determine if the battery is worth the extra space. Some vape enthusiasts might opt to just buy a bigger device with a longer-lasting battery, especially those who are often on the go with their vaporizers. If you’re just planning on vaping at home, then you won’t have any issues. The standard version of the MIQRO comes with an 18350, 900mAh battery, which is on the smaller side. As a result, the battery life is short at only about 45 minutes, and even less if you vape at higher temperatures. The MIQRO takes a little over an hour to fully charge. The device does offer a quick heat up time of 30 seconds. The MIQRO is significantly easier to keep clean than its older counterpart the IQ. The way the device is designed allows for more thorough cleaning, and the included tool does a great job of removing used materials. If you are using the MIQRO mostly for personal sessions, you can adjust the bowl size using the pearl, and this lets you keep it clean even easier. Since the MIQRO uses conduction heating, stirring is necessary. While the vapor quality on the MIQRO isn’t bad at all, the IQ definitely has its younger sibling beat in that department. This is simply due to the fact that the heating capabilities on the IQ are more advanced and because the IQ is larger, meaning a longer vapor path and smoother hits. In addition, the battery life on the IQ is longer – 60 to 80 minutes compared to the MIQRO’s 45 minutes. While the IQ is by no means bulky at highly noticeable, its smaller sibling the MIQRO is even more compact and discreet. The size difference comes down to personal preference. The MIQRO is significantly easier to keep clean than its older counterpart. The way the device is designed allows for more thorough cleaning, and the included tool does a great job of removing used materials. There is an awkward spot between the conduction oven and the path of the vapor, which can cause a build-up of herbs if you don’t clean the device after every session. The MIQRO is great for new users and vape lovers who don’t intend to blow huge clouds or use the device heavily throughout the day. If you’re someone who prefers big, milky rips, then the MIQRO isn’t for you. But the device is perfect for vape enthusiasts who are looking for quick, stealthy hits with above average vapor quality and flavor. You can Order yours here. If you’re new to the vaporizer world and you need some advice on the best device for you, check out our buyer’s guide. Follow our Facebook, Twitter and Instagram pages and signup to our Newsletter to receive more news, updates and promotions. You could even win a prize! Check back right here to Tools42 often because we update our pages frequently. Until next time, it’s 4:20 somewhere! Happy vaping!